Translation services is the process of translating your documents without altering the document content. It is mainly done for the purpose of authentication in foreign countries. When you migrate to another country you have to submit certain documents to authorities for verification purpose. Some countries prefer the certificates in their own regional language rather than English. Therefore, they want the certificates translated into their regional language. For that purpose, you need to hire certified translation service provided by a professional translator. When you go abroad for the purpose of job or education, you have to submit certain documents for verification purposes. Even though English is a universal language, people prefer their native language when it comes to official documentation. To understand the documents in a better way, they want important documents in their own native language. Most of the foreign countries especially Middle East countries prefer documents in their own native language. If you are planning to travel overseas and require professional translation services, Urogulf can help you accomplish your needs. Urogulf is an excellent translation agency that employs expert translators who can translate your certificates and documents with utmost perfection. 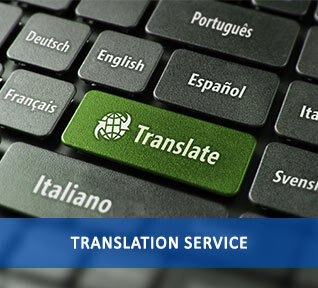 Our certified translators are well-versed in foreign languages and have in-depth knowledge in translation services. Our team of dedicated professionals helps you to translate document within a limited time period. We provide language translation services to all types of legal and non-legal documents. Some of the certificate translation services provided by our document language translators are birth certificate translation, marriage certificate translation,legal translation services etc. When you hire Urogulf for document translation services, you can submit the documents in any of the Urogulf offices situated in India and abroad.